This outfit was the product of a gigantic, sea-of-clothes making fight with my closet; I just couldn't find something to wear. 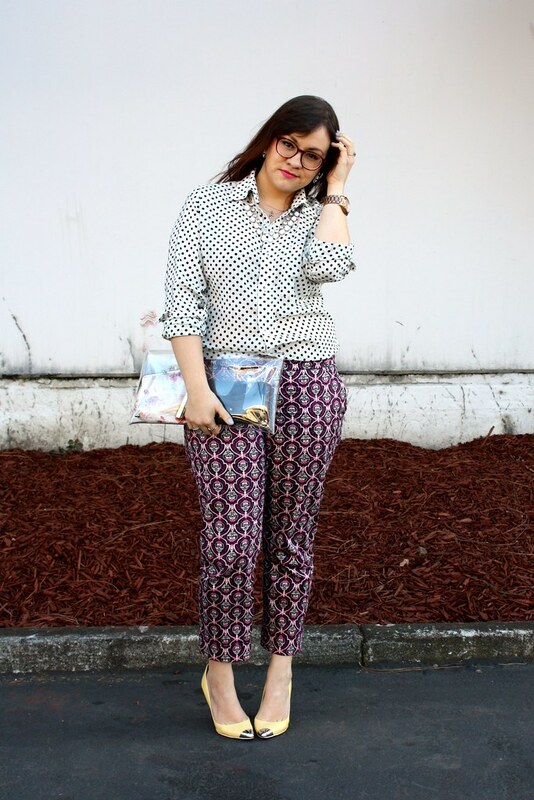 The solution to the problem ended up being a head-to-toe print outfit. The shoes were an easy choice because the pants have a pale yellow component to the design. I filled my handmade clear clutch with my black leather wallet and a floral coin purse that my best friend gave me a while back. Speaking of this clutch--I've now made and sold seven of these clutches on Poshmark and it's been so cool to see where my little creations end up and how they're styled (see how Maria and Amanda styled theirs). And that's not all, the waiting list for more clutches continues to grow! So exciting! A package from Bonlook arrived that morning with three new pairs of glasses. Naturally, I couldn't resist putting on a pair right away! The hot pink lips played up the pink in the pants. 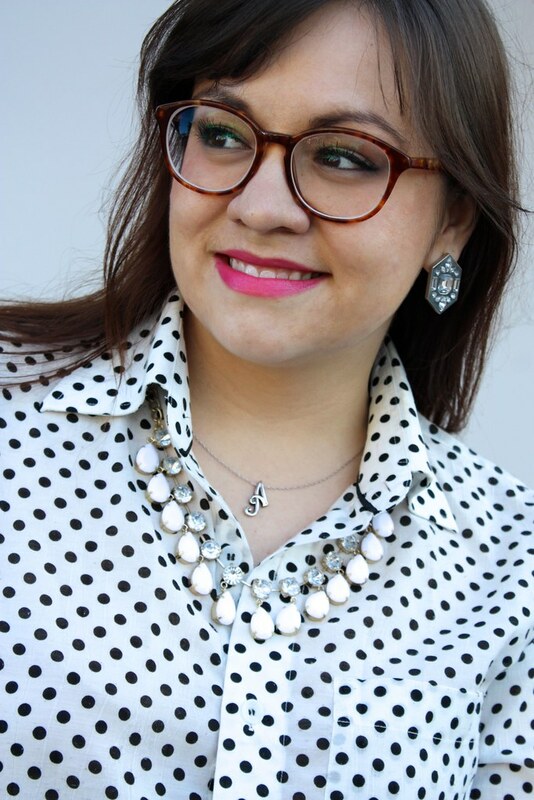 A pairing of two of my favorite necklaces dressed up my neckline. The silver and the cap toe bookend the look with a little silver accent. 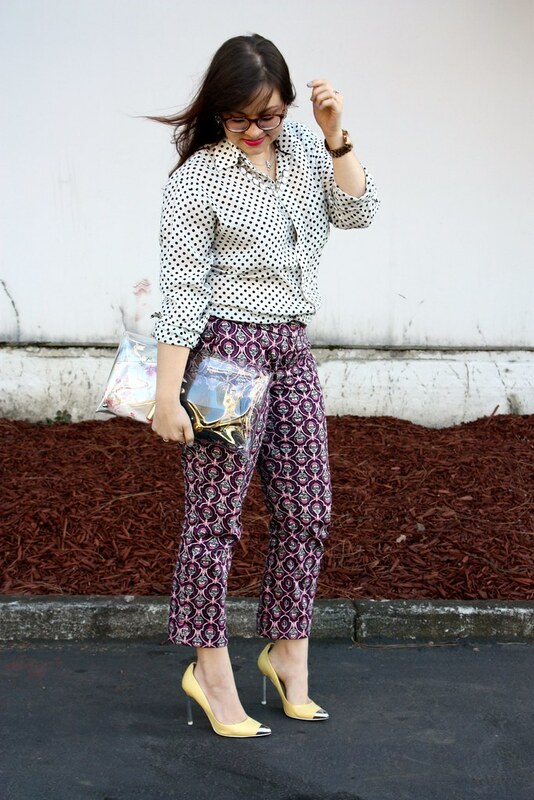 Cannot wait to wear my clutch next Tuesday on the blog!! Love this look! I find my closet almost always a mess and sometimes the results are good (like this) and sometimes I look like I got dressed in the dark! Glad this one worked out so well! Honestly, I love everything about this outfit! 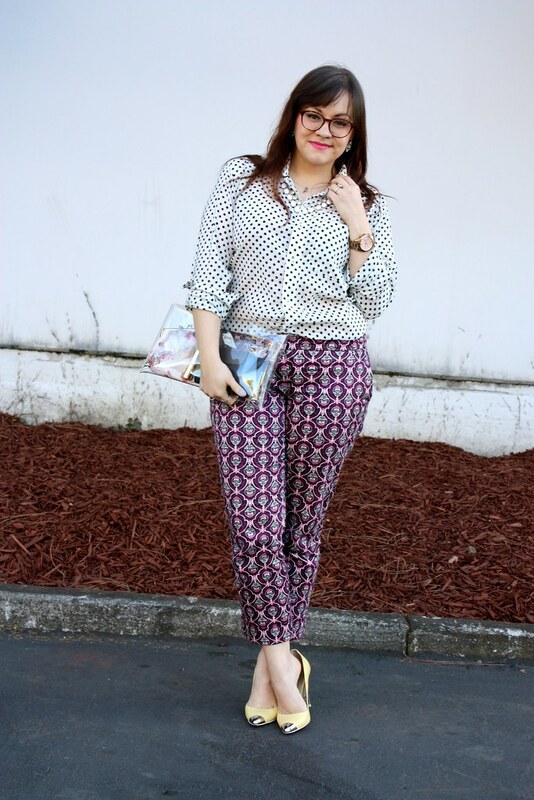 The prints go together perfectly, and I'm a huge fan of those glasses. I want a pair for myself! 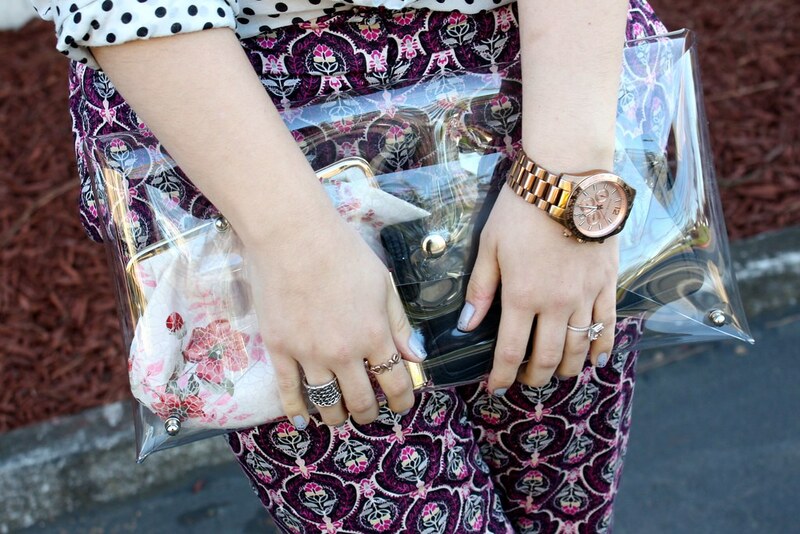 Perfect look for the clear clutch. 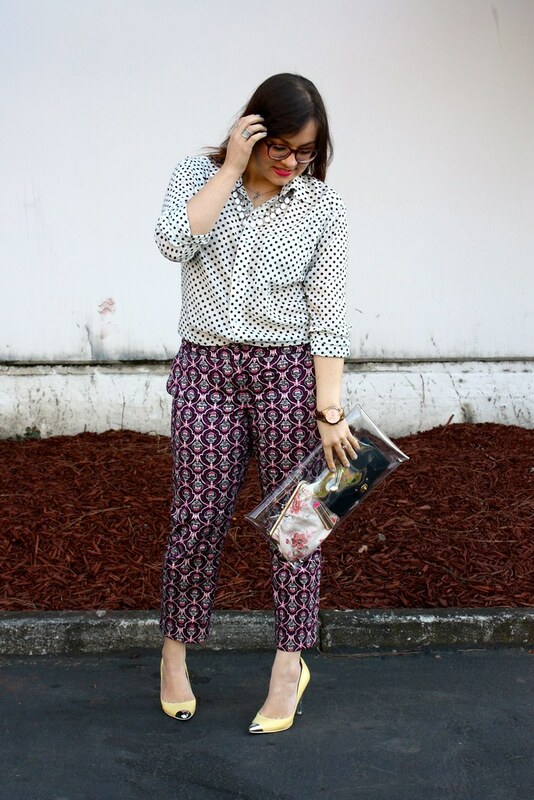 GREAT prints together. 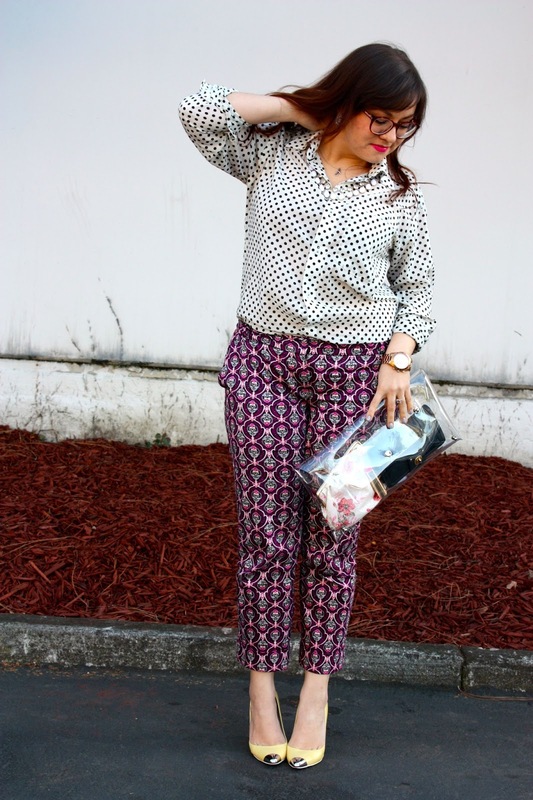 You style well! You are just too fabulous for words! Love Love Love your wonderful look. Just fabulous! !